If you’re the type to entertain guests, then you know first hand how important it is to set the mood. The human body is influenced by all 5 main senses and when stimulated can alter our mood and behavior. Today we feature 10 powerful winter home accessories and ideas that will surely add character to your home and ultimately influence the overall mood of your setting. More than ornaments, the design of your home influence the subconscious. The choices that you make when deciding how your house will look have a documented effect on your emotions and perceptions. An aspect even more important to consider in winter as it can be hard work when snow accumulates or when ice freezes over your walkways. You can still make up for a sad yard during those days of the year. 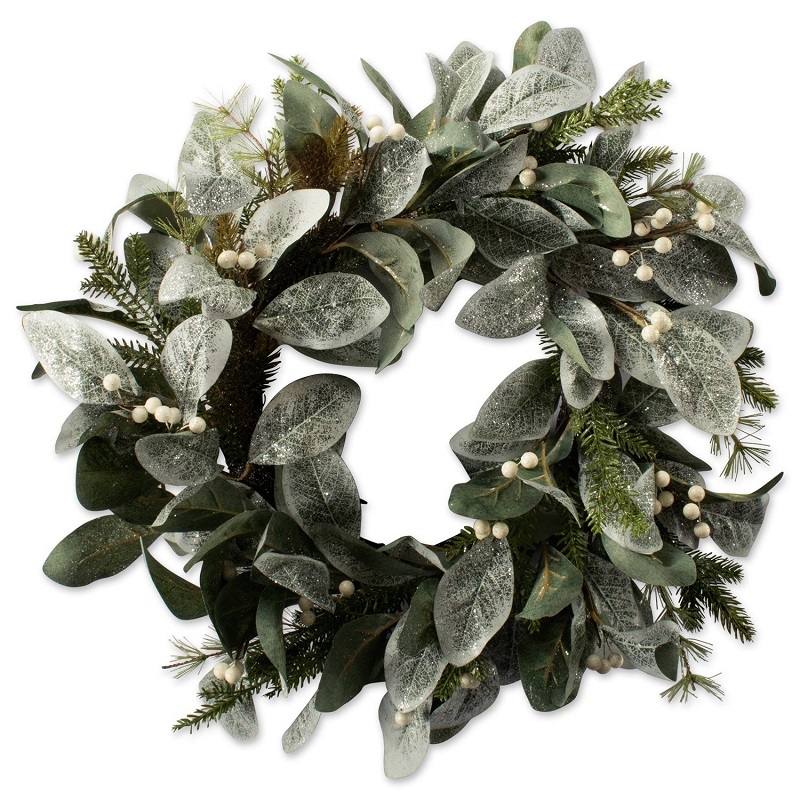 Universal with the time of year, mark the season with a universal wreath. 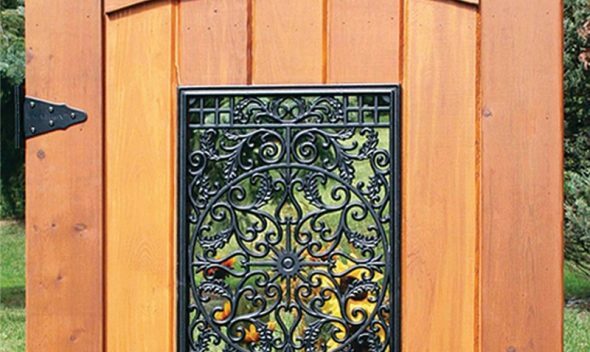 It adds a touch of festive decor on your front door to greet guests with style. If you miss Halloween or Chrismas, you can extend the holiday charm with seasonal references. Offered in a variety of elements, fruits, colors, which will liven up your home. 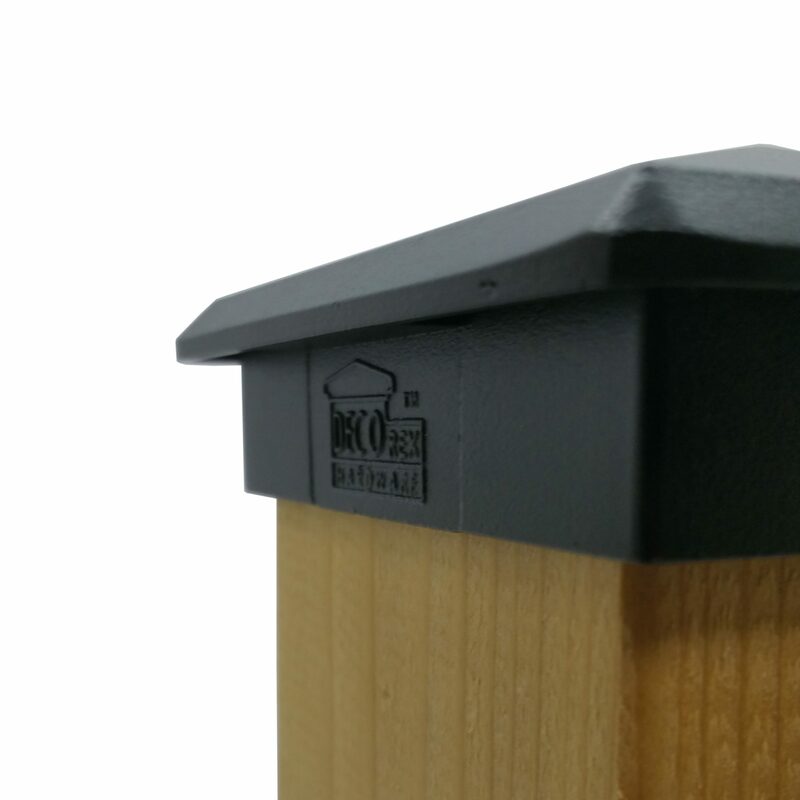 Deck posts caps have two functions: they are decorative and protective. 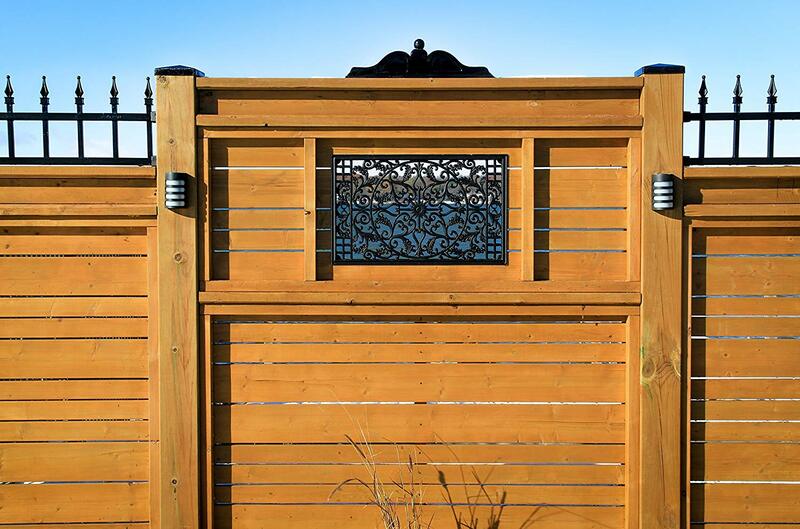 They complete fence design and prevent them from rot and decay caused by moisture and elements that accumulates inside of them. So whether you are building a new deck or updating your current one, the first step is to choose the right post cap for your outdoor space. Available for every taste, in a wide range of colors, materials, shapes and sizes. Choosing the right post cap is the final touch to an appealing garden. 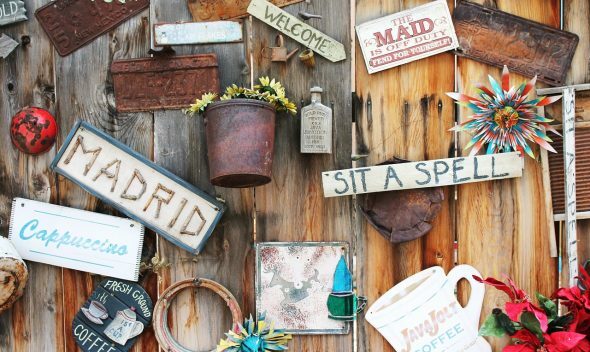 The right decor will leave an impact on your guests during summer gatherings, making your house more alluring. 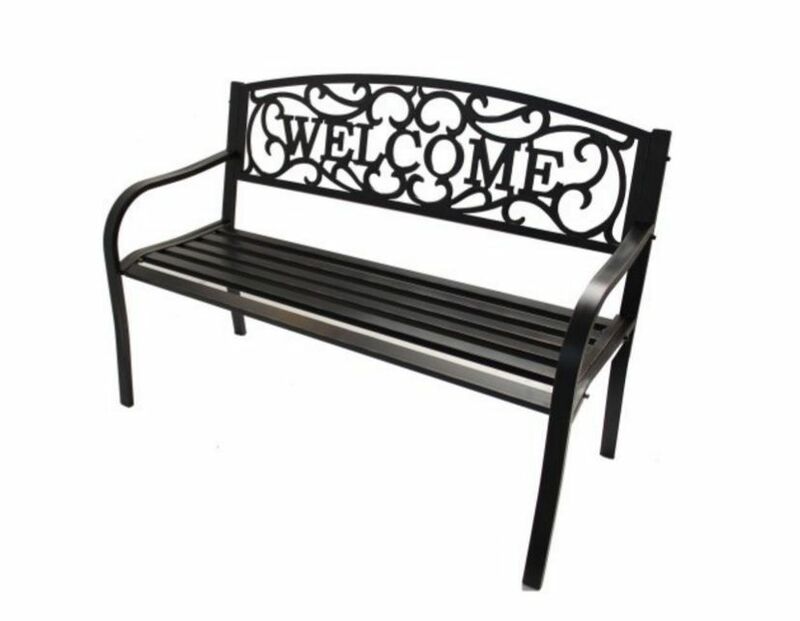 Make your home feel like a villa, a country house or a cottage, the time of an interlude in the garden, just like a get together in the park, with this high-quality yard bench offering comfortable sitting as well as serving as a decorative ornament. 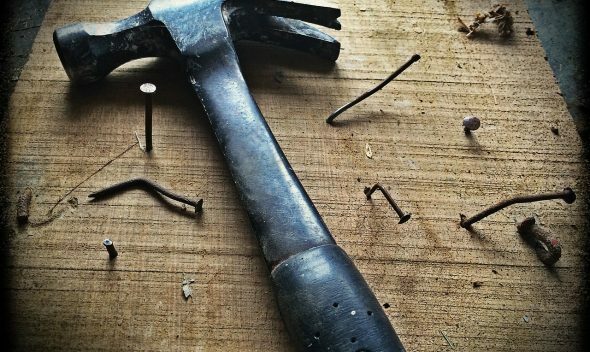 Because it is polished, it doesn’t cut, catch or rip off clothing. You can also put the bench in the garden or near a bonfire. The bench is made of reinforced steel to ensure sturdiness and stability, perfect with outdoor use, and it is powder coated with a smooth rust-resistant finish. 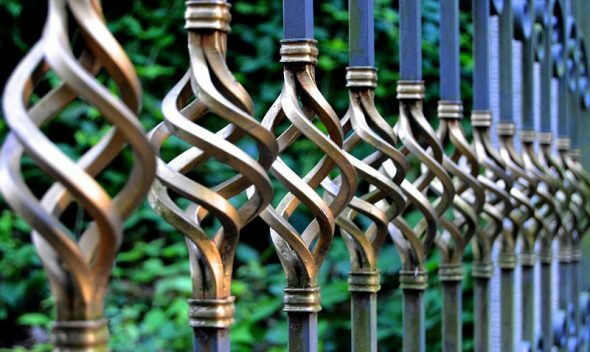 Another way to add style and elegance to your new or existing deck, fences, gates, doors or walls, is with personalized castings that will leave a lasting first impression to your guests. 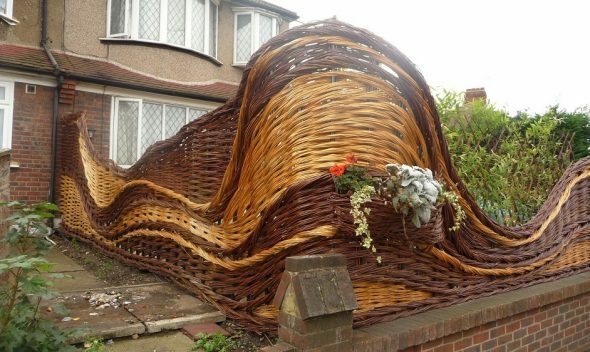 Make sure you showcase your decorative skills even before they step into your house. 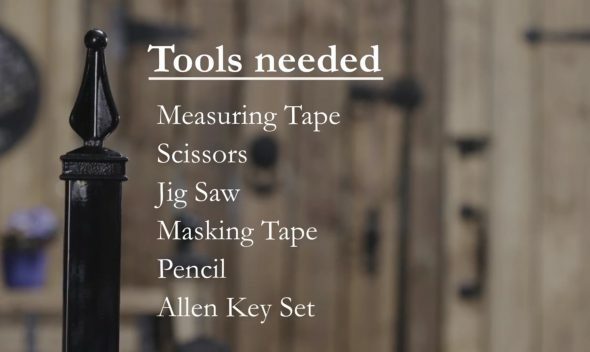 We also offer a great variety adaptable to different needs. Imagine movie nights under a cool starlit sky on a patio with a warm fire burning. Don’t let nature’s hazards spoil the fun under this patio shelter made of specially treated materials which makes it resistant, thermal insulated, waterproof, and very versatile. It also blocks 85 to 95% of UV rays. It also provides privacy for cozy nights. Quick ironing or steam cleaning, machine washable and not easily fade. Ideal for lounging, snuggling, relaxing and dining. Attractive, romantic, practical and trendy. 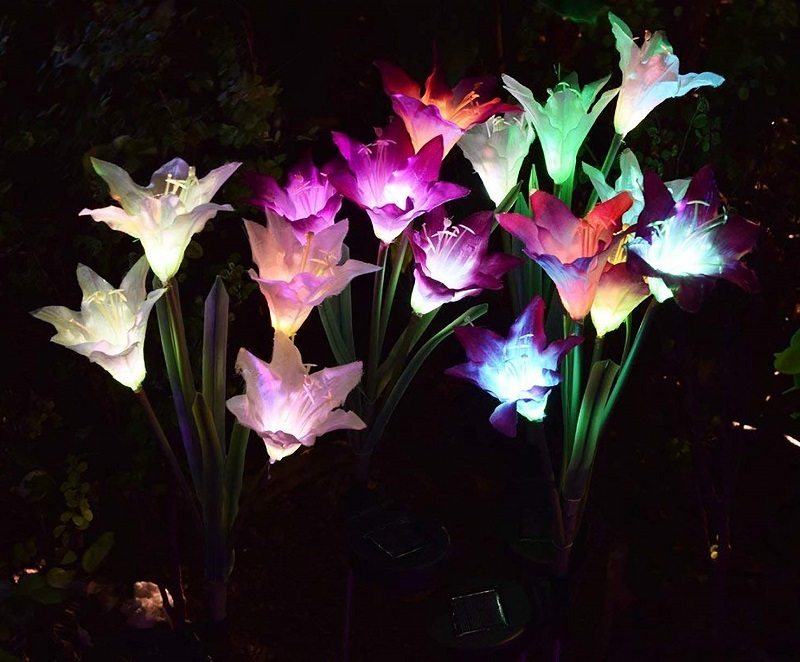 Create a fairy environment with these soft lights, perfect for weddings, dinner tables, parties, birthdays, holidays, festivities, anniversaries, courtyards, camping, and daily ornamentation. It is made of premium thick glass, with 20 warm white long lasting Micro LEDs. It emanates little heat, safe to handle even after long-time use. 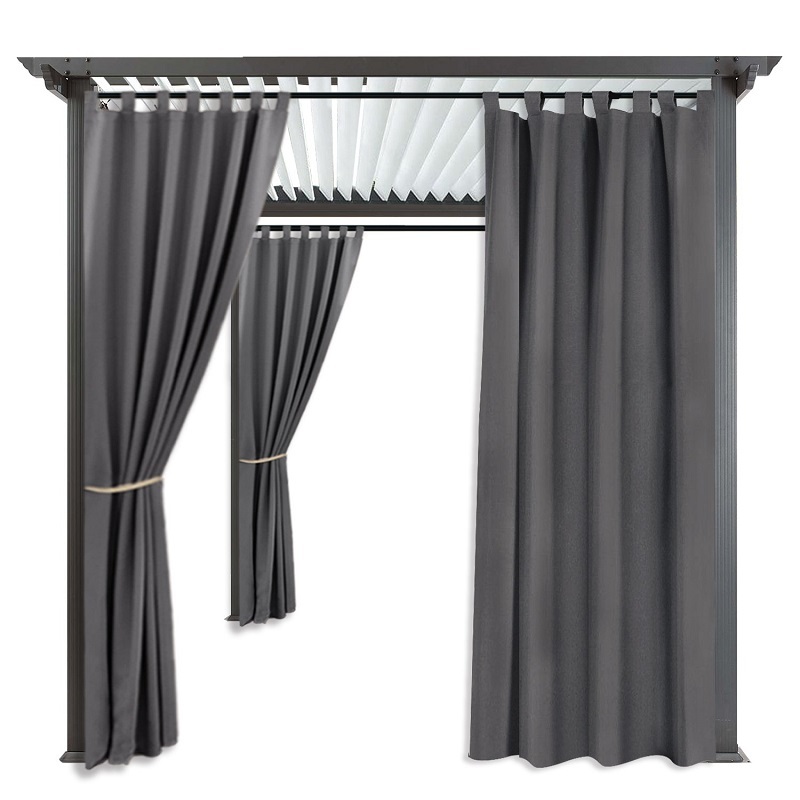 Therefore you can put it on shelves, tables, porches, trees, patios, easily hang on walls or in the air. 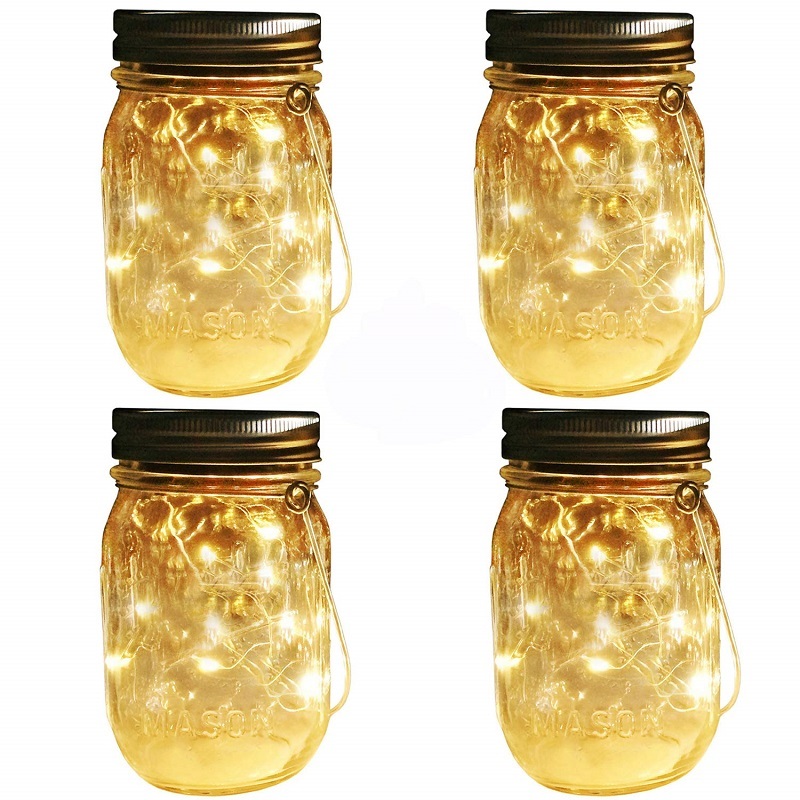 All you have to do is expose the jar to sunlight and let it recharge itself. A built-in light sensor ensures that it turns on at dusk and turns off by dawn automatically. Rainy day? Well, it’s also waterproof and one piece AAA rechargeable battery is included which can be a back-up when there’s not enough sunshine. Another smooth atmosphere in a warm ivory color, perfect as a holiday centerpiece. 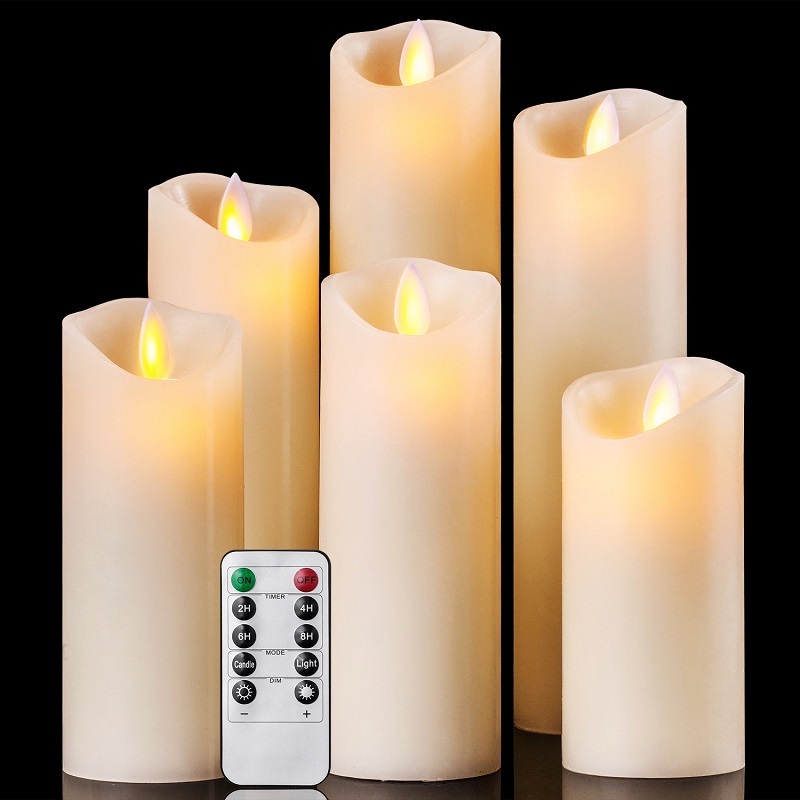 You can put these flameless candles along any surface without having to worry of burning anything down to the ground. Available in different sizes and provided with a remote timer for easy and convenient operation. Different flickering options and brightness levels are to choose. This smokeless candle is operated with AA batteries. It is safe around children and pets, so you never worry about flame accidents again. 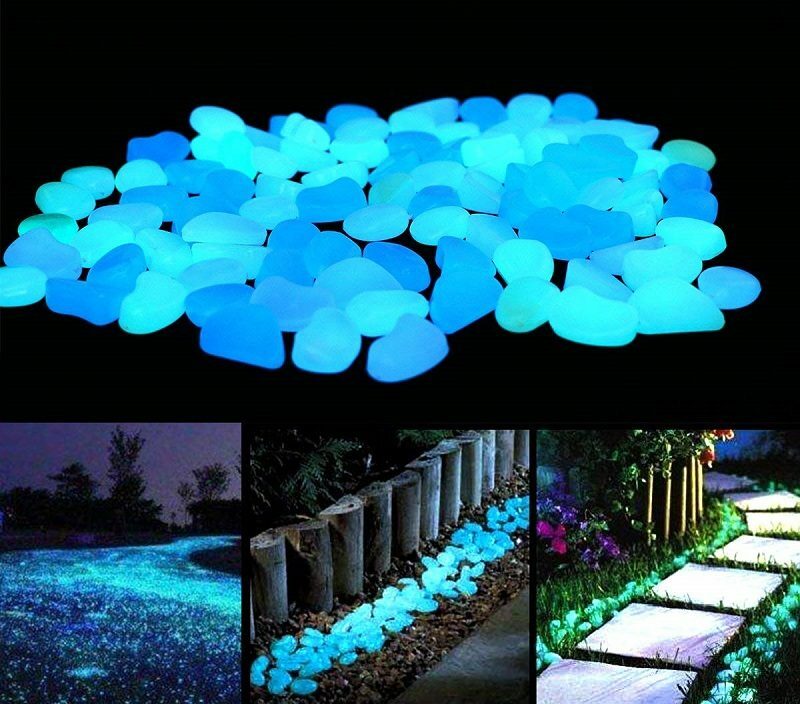 These rocks glow in an electric blue up to 12 hours when fully charged. They are made from the highest quality of photoluminescent pigment and have a very high concentration per pebble, meaning they glow stunningly bright for two to three hours. Must ensure protection around children. This metallic and rustic sign is eco-friendly and safe with it’s rounded corners. Measuring 6”x16”, the holes in the back make it easy to hang. 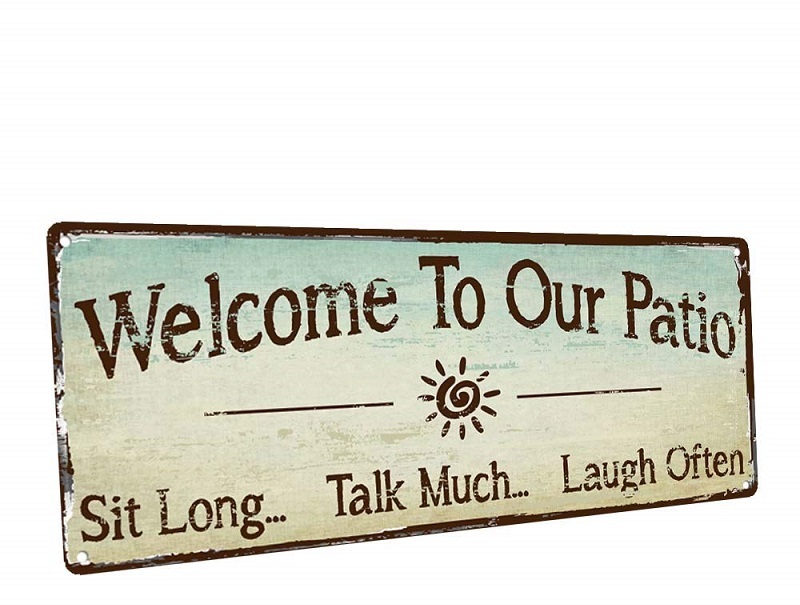 It will put on a smile to your guests’ face and truly make them feel welcomed, setting a note on the doorstep. Two packs of beautifully imitated bouquets with purple and white lilies. The petals are exquisitely designed with fabric to imitate the real flower. Add up some greenery that will also stand out in the dark, without worrying about watering. Even if you did, it is waterproof. 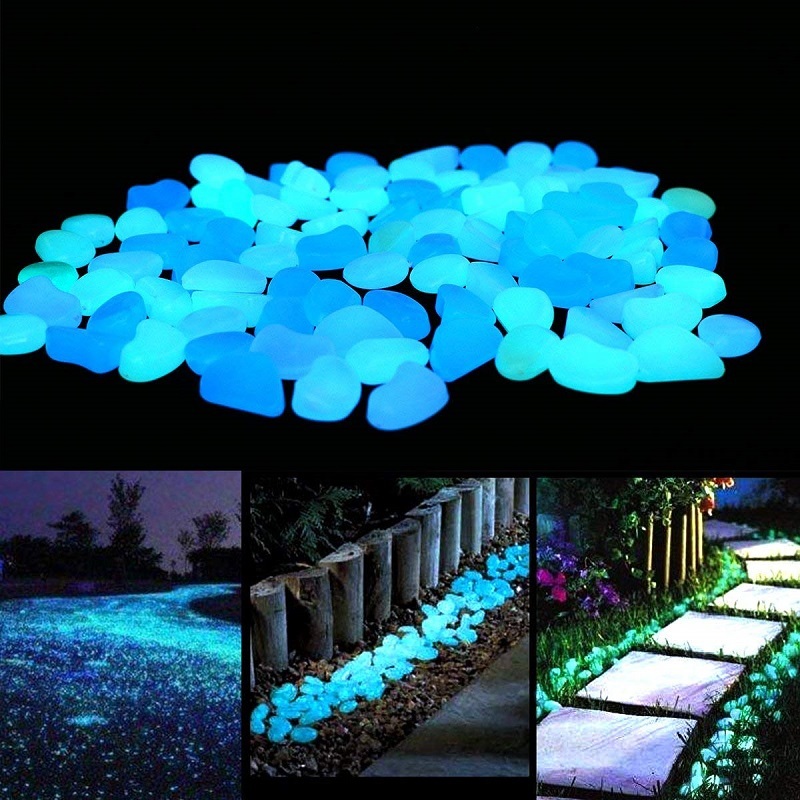 With fluctuating colors, it is perfect as path and in-ground lights. Add it up to the garden, trees, flowers, fences, walkways. Solar powered, it illuminates your space, without worrying about electricity requirements. 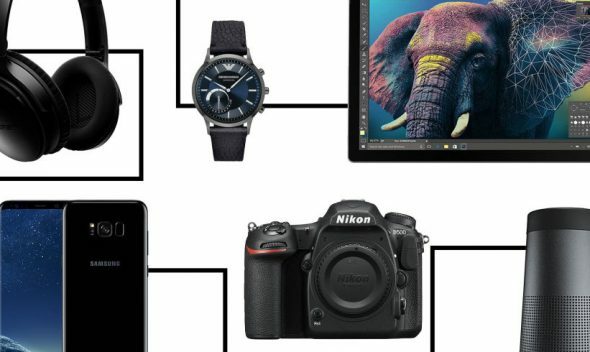 A rechargeable battery is included. 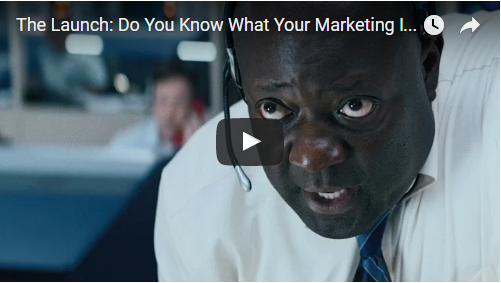 Your tastes reveal your personality. 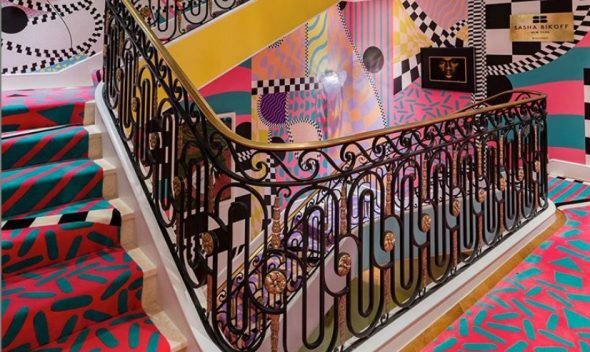 The same way how we dress introduces us, the look of your home leaves an impression to visitors when entering your environment, instantly affecting their mood as well as yours. 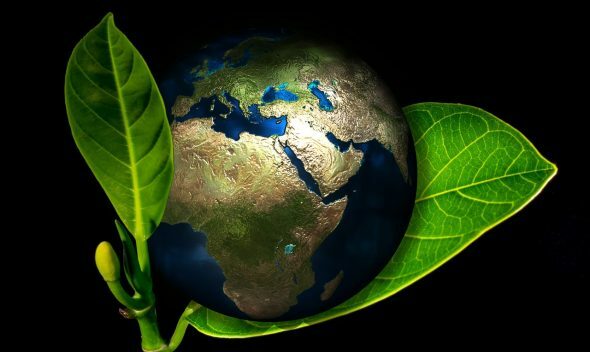 Beyond Feng-Shui concepts, every design choice that you make has a distinct psychological impact on your subconscious. Keep the ideas listed above and take them into account as you conceptualize your space. Let us help you create a space that’s equally pleasing to your body and spirit.